for submitting product information about Lonsdale Reflex Free Standing Punch Bag We aim to answer all questions within 2-3 days. for submitting product information about Lonsdale Reflex Free Standing Punch Bag. We aim to answer all questions within 2-3 days. If you provided your name and email address, we will email you as soon as the answer is published. What is the max height? 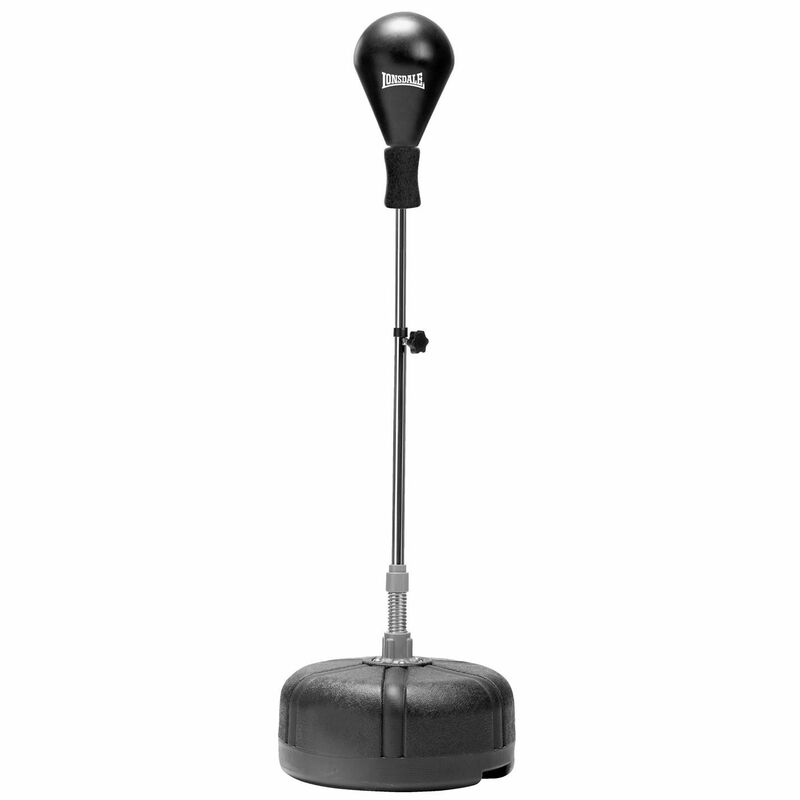 The Lonsdale Reflex free standing punch bag has a total height adjustment of 5ft. Good quality bag the spring would be better half way up the stand so the response would faster..or even maybe sell an option for a top pipe with a spring on it. Excellent piece of pit. Doesn’t take much room. really good quality for the price! Strong, well made and arrived quickly. Far better quality than I expected for the price. Great product. for submitting product review about Lonsdale Reflex Free Standing Punch Bag.